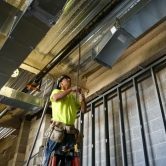 From an accurate heating and cooling load estimate to proper equipment selection, all the way through design, fabrication, and installation of a custom duct system, your commercial HVAC purchase will live up to your expectations for personal comfort, operating efficiency, and long-term reliability. 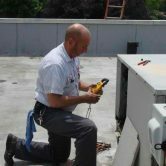 We have partnered with many businesses and organizations to provide HVAC services. View some of them in our project showcase. If you have a new building or renovation project already laid out, our estimating department can give you an accurate bid for the HVAC work. 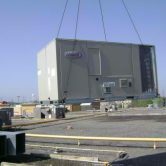 If you have aging or inoperative equipment, our team can get you back up and running quickly with a replacement system. Our service department is on-call 24/7 for emergencies and offers planned maintenance on your equipment.